"Cheryl Wright brings us the final story of the Callahan brothers, Kody and Dr Molly. Molly's deep dark secret isn't as deep and dark as she fears. I'm sorry there weren't more than four brothers." "I have read all 4 Callahan Brothers stories from Cheryl. Enjoyed each one and always looked forward to the next but alas this is the last in this series but know there will be more coming by this great Author. A great story line with a nice twist. Thanks once again Cheryl and will wait patiently for the next series." Cheryl Wright brings us the final story of the Callahan brothers, Kody and Dr Molly. Molly's deep dark secret isn't as deep and dark as she fears. I'm sorry there weren't more than four brothers. 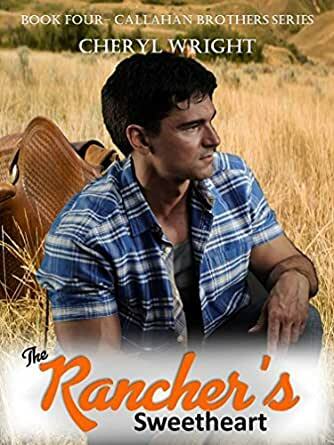 5.0 out of 5 starsThe Callahan Brothers Series is Great Reading by Top Class Author - Cheryl Wright. Highly Recommended. I have read all 4 Callahan Brothers stories from Cheryl. Enjoyed each one and always looked forward to the next but alas this is the last in this series but know there will be more coming by this great Author. A great story line with a nice twist. Thanks once again Cheryl and will wait patiently for the next series. This is a cute little romance with sweet and adorable characters that will steal your heart and make you laugh.